First up, allow me some nostalgia. Several years ago a group of us graduates from the Auckland School of Architecture elected to conduct a regular lunch event to celebrate the life of one of our Wellington colleagues, Brian Hope, who had died suddenly. This tradition has continued 2-3 times a year ever since, depending on co-ordination with our complex and overlapping lives. 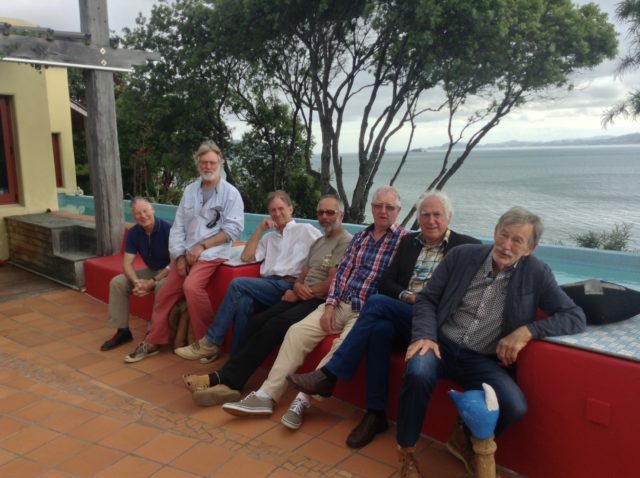 Sadly, three more of the Wellington contingent, Sir Ian Athfield, Keith Wilson and more recently, John Craig, have also passed away, leading to the centre of gravity of our group moving to Auckland, where the majority of the sixties graduates now reside. The sole Wellington survivors ,Gus Watt and myself, now must travel to the city of snails in order to carry on the grand tradition. Recently it was Dave Launder’s turn to host. 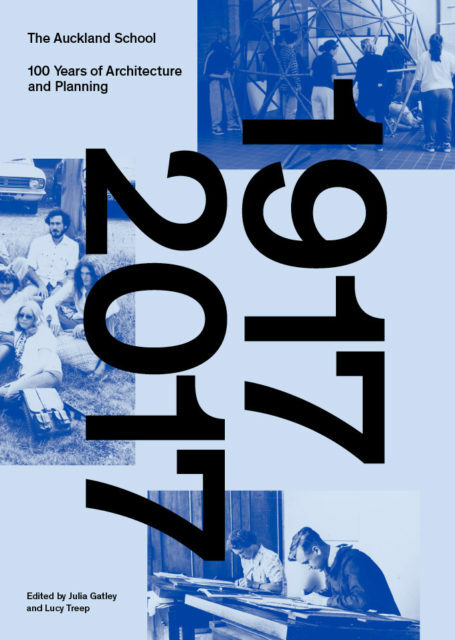 We organised it as a lead – in to the 7-9th September Auckland School of Architecture’s Centennial. On board his lovely boat ‘Moody Blue’ moored at the Hobsonville Marina, we once again chewed the fat and drank the wine. There were hundreds of comfortable looking empty boats moored in long lines on either side of the Marina walkways, and I couldn’t help thinking that the answer to Auckland’s housing crisis was right there to the left and right of me. Our lunch, by design, led us neatly into the weekend activities at our old School. Friday evening a comprehensive book on those hundred years, put together by Julia Gatley and Lucy Treep, was launched at a the Gus Fisher gallery in Symonds St, together with a brilliant exhibition of work by students produced over that time. Many old faces, some distinctly weatherbeaten ,were there to enrich the whole experience. It was a huge and memorable turnout. The next day, Saturday, a lively Panel Discussion was conducted at the University Conference Centre. The quote of the day was from Wendy Garvey, the newly retired School of Architecture librarian. ‘nostalgia is not what it used to be’ she said. My friend John Blair sitting alongside me noted that her 40 years at the library began 5 years after he had been in practice. There was a spectacular gala dinner on the Saturday night in which the Master of Ceremonies ,David Mitchell, interspersed the courses with warmth and humour. The profession so needs passionate supporters such as he. I have many stories myself from my time at the School. I will never forget the end of year student exhibition in which our tutor, the famous member of ‘Group Architects’, Gordon Brown, in front of 400 students asked ‘who was responsible for this work?’ He was tapping his briar pipe on it. ‘It’s mine’ replied a nervous student from the far side of the room. ‘Have you tried accountancy or perhaps law’? Vernon responded. For a staff member to do that nowadays, when education is no longer free, there is an expectation that paying for your degree entitles you to gain it. Such comment from a staff member would have him instantly fired, and the funding for the course cut, because it was clearly not working. Much has been written, and is yet to be written, on the subject of architectural education. For New Zealand’s founding school to have flourished successfully for so long is very important.